#1 First select the image or images you want to scan or create your own graphics in your drawing and printing program. Before you print the images onto the decal paper you may want to make sure that everything fits by printing a sample on plain white paper. If everything fits, proceed with printing your art work on the Experts-Choice™ Decal Film. #2 After printing, we recommend coating the decal with a fine spray of Microscale Liquid Decal Film (our stock #127). Let this dry and then give it another heavier coat and let it dry thoroughly. If you do not have an airbrush you can use a wide, soft brush. This will do two things. It will protect the image from smudging while handling. It will also strengthen the film so it will not bunch up when applying it to your object. You are now ready to apply your decal as you would any other water slide decal. #3 Cut out the image you wish to apply and place it in a bowl of luke warm water. As soon as it moves easily on the backing paper, remove it from the water. #4 Slightly moisten the area where you are going to apply the decal with Microscale Micro Set (our stock #129). This will prepare the surface with special wetting agents. Slide the image onto the surface. 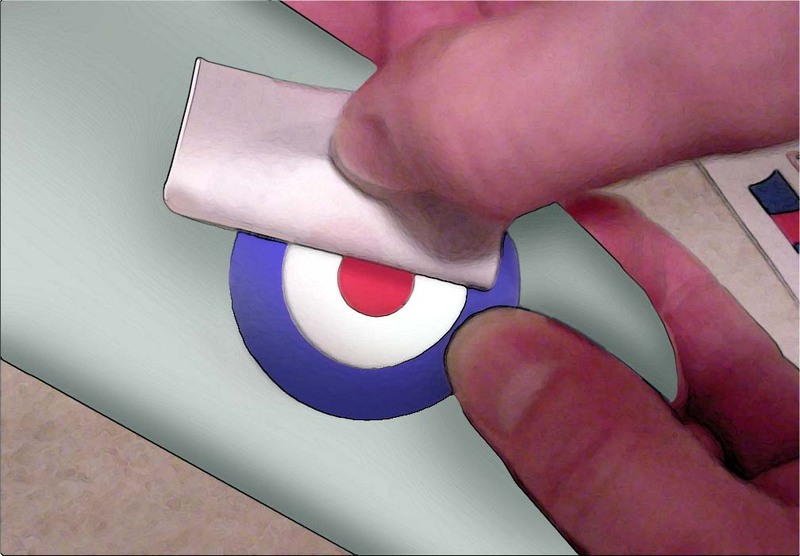 #5 Use a soft damp cloth to blot away excess liquid and smooth the decal in place. #6 After applying your decal to the model use a soft brush to apply a light coat of Microscale Micro Sol (our stock #128). This will soften the decal and allow it to become part of the surface. DO NOT TOUCH it after applying the Micro Sol. Just allow it to dry. 012 CF-0 CLEAR DECAL FILM 5" x 8"
013 CF-1 WHITE DECAL FILM 5" x 8"
018 CF-5 WING WALK GRAY DECAL FILM 5" X 8"
130 CF-6 METALLIC GOLD DECAL FILM 5" x 8"
Use our white decal film if your subject has any white areas. This is because most copiers and printers do not print white. If you are copying a decal sheet on a color copier, you’ll need to transfer your decal to white styrene. This is due to the blue background on printed decal paper. Following this procedure will prevent the photo copier from printing the blue from your master on to the copy. 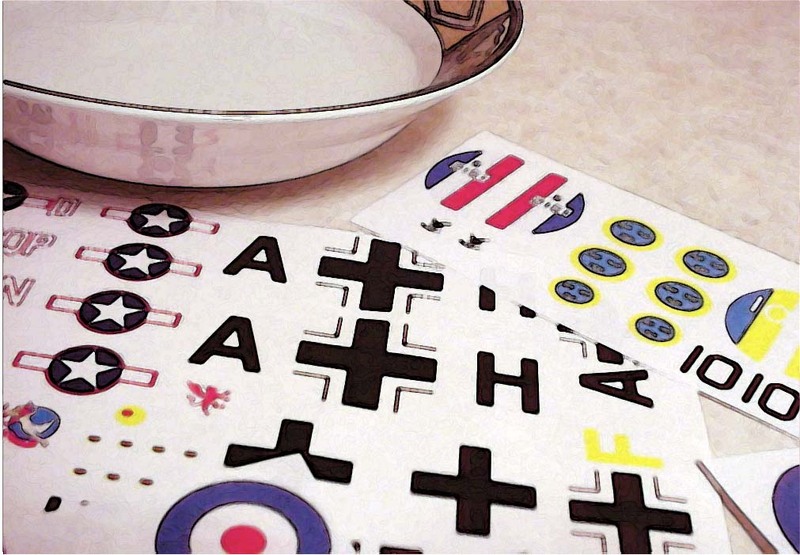 For some subjects you may find it necessary to use both our white and clear decal films. This is because when doing decals with letters like “USAF,” you do not want a white background in between the letters. 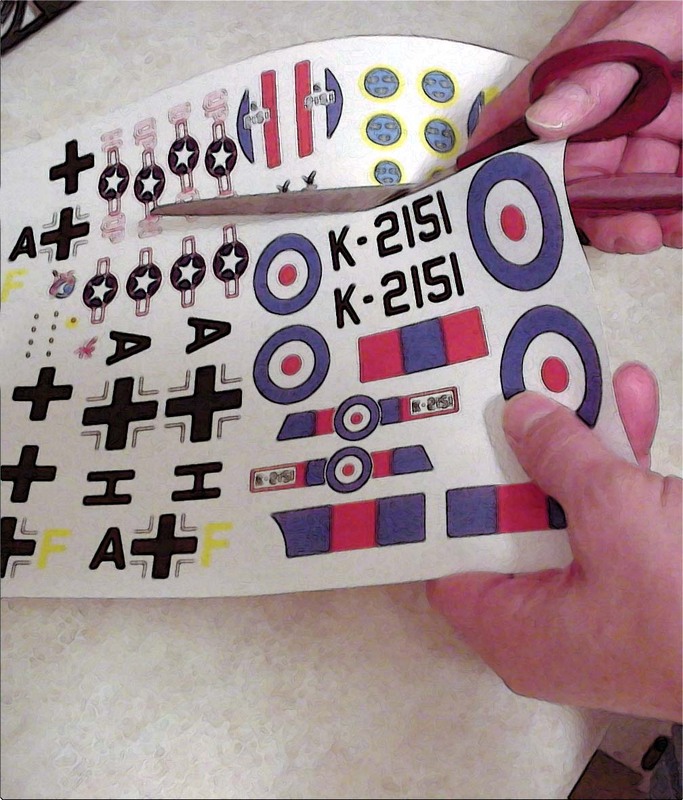 When doing decals where a clear background is needed, you may have to separate your master so that any clear areas come out clear. It is suggested that the bypass tray be used on all photocopiers. This will reduce the number of rollers the paper comes in contact with. The Bare-Metal Foil Co. has tested this product on a Cannon 550 and a Xerox Regal 5790 with great results. The test was conducted using the bypass trays on these machines. Some machines have a setting for transparencies or heavy stock. Please have the operator use this setting. We are happy to report that we have never heard of any cases of this paper damaging a photocopier. Remember to use Microscale Liquid Decal Film on both laser printer and inkjet images. If you fail to clear coat your image it may be damaged when you place the decal in water. Some decals may require a white background or white sections along with clear areas. This can be accomplished by printing you image on the clear decal film first. Then cut the white decal paper to fit the white areas in the decal. Place the white material on your model and slide the printed image over the white decal while both decals are still wet. 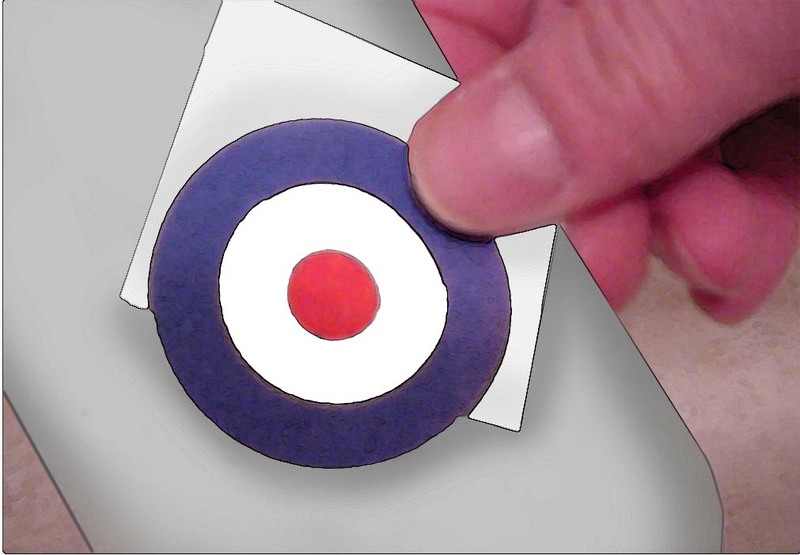 This will allow you to register the white area under the image before the decals dry. Inkjet printers use liquid inks to create images on paper. 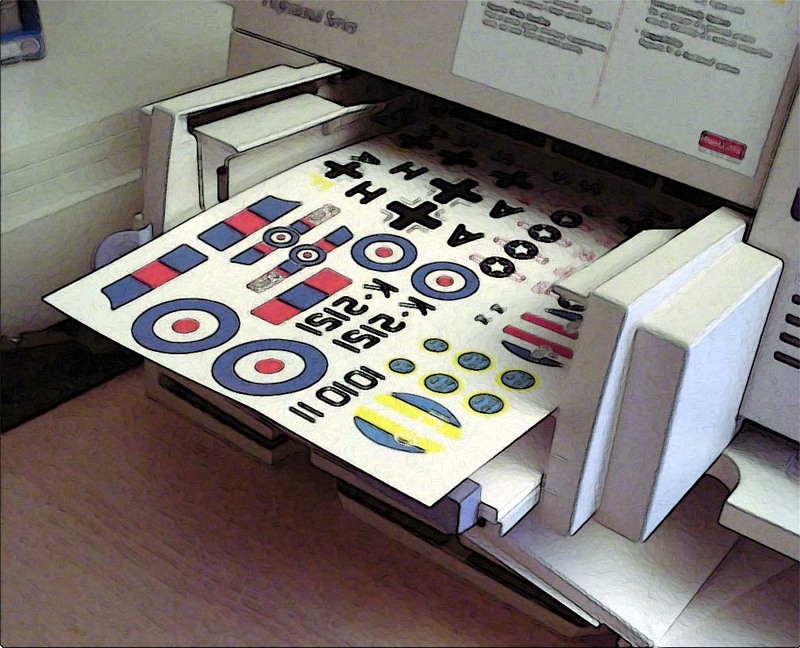 Making decals with this type of printer requires decal paper with a special coating which prevents liquid ink from beading. Inkjet printers typically use the paper stock to supply the white component or artwork color, so white ink is generally not available. However, white inkjet decal paper is available in addition to clear decal paper so that images needing a white background may be printed. Currently we do not have information about compatibility with Bubble-Jet printers. Use a computer, dry transfers, previously printed designs, and/or pen and ink to create your artwork. You may use multiple colors, but be aware that dark model colors may show through light-color artwork. White decal paper may be used to produce white areas on your decal. Color photos may be used as artwork, but they should be printed on white decal paper so that the white component of the photo is present. If you created your artwork on a computer and have a printer, you may print that artwork directly onto the glossy side of the decal paper. Try using your "Normal Printing - medium resolution with Plain Paper" setting in your printer. If you get good results, try using the "Econo Fast" with medium resolution with Plain Paper. After printing, you must apply a thin, but thorough coats of Microscale Liquid Decal Film to seal the printed image on the decal paper. Outside services are available that will print art for you on their printer. 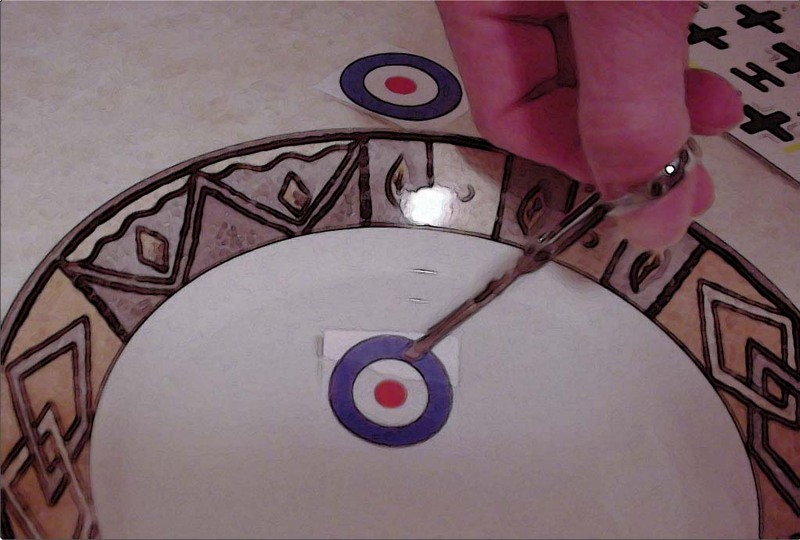 Carefully cut out the decal from the sheet and dip the decal in a cup of luke warm water for 60 seconds, placing the decal between your fingers, "feel" if the decal slides from the paper, if it does then you are ready to slide the decal off the backing paper into position on the object. Gently blot excess water with a rag or old t-shirt. To help the decal conform to the surface of your model try Microscale Micro Sol or Microscale Micro Set. Both these products are specially formulated to aid in the application of your decal.